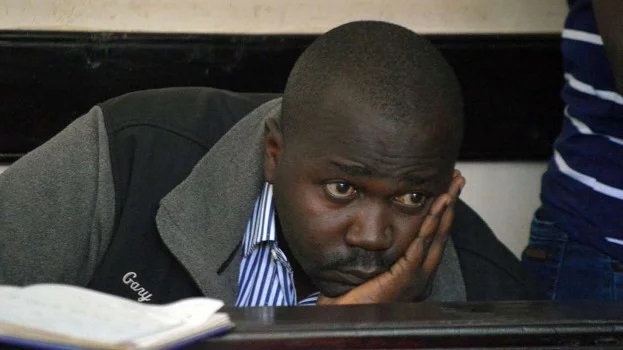 Tuesday September 11, 2018 - The Directorate of Criminal Investigations (DCI) has come out to confirm the identity of the man who visited Michael Oyamo at Homa Bay Police Station. This is after it emerged that the man, who was disguised as a Kenya Defence Forces (KDF) officer, had been sent by Migori Governor Okoth Obado to his Person Assistant, Michael Oyamo, so that he couldn’t talk over the cold-blooded murder of Rongo University student, Sharon Otieno, who was involved with the Governor. Through DCI Chief in Nyanza, Michael Barasa, Kinoti confirmed that Lukas Ouko was the KDF imposter who gained access to Oyamo inside a police cell with ulterior motives. This comes even as KDF Spokesman, Paul Njuguna, denied that the military had sent Ouko to Homa Bay for any reason. He even denied that Ouko is a KDF officer. “If anyone or a group of people are purporting to be from KDF, they are fraudsters and should be reported to the police,” he stated.